the archive of Gio Ponti? 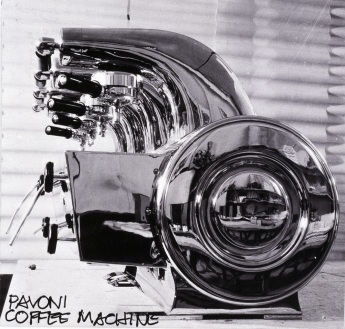 The legendary Pavoni espresso coffee machine of 1948: all the intricate and protruding mechanisms of the old coffee machine have been eliminated or enclosed within just three volumes: casing, central body, spouts. The appliance achieves the perfect simplicity attained, in their form, by certain wind instruments.